Head lice are tiny insects that live on the scalp, eyebrows and eyelashes. These parasites lay their eggs on your scalp, and they usually are mistaken for dandruff. Once the lice eggs hatch, the live insects can live for around one month on your scalp. Before they die, they will lay more eggs and the cycle will continue until you treat the problem. Head lice can spread from person to person very quickly, usually by physical contact with an infected person. Dermatologists refer to head lice infestations as pediculosis capitis. Head lice are more annoying than problematic, as they do not spread disease or cause serious medical problems like other parasites. Anyone can get head lice, but they are more common in young children. Contrary to common belief, having head lice does not mean that you have poor hygiene, are dirty, or are living in filthy conditions. Head lice can be spread by sharing hair implements, like combs, hats, hair clips, ponytail holders and brushes with those who are infected. Bedding, close contact, and clothing can spread them as well. The symptoms of head lice include intense itching and small red bumps on the scalp, shoulders or neck. If you look closely at the scalp, you may spot live lice, or see the white lice eggs that resemble dandruff. Lice can spread quickly, so even if only a single egg is found on the scalp, it is important to seek treatment right away. An over-the-counter medicated shampoo or lotion that contains 1% permethrin will take care of the problem as long as the directions are followed. You will also need to wash all of your towels, clothing, bedding and hair implements that the infected person may have touched to avoid spreading the lice to other people. This will also prevent a re-infection from occurring. Also, the lice eggs must be physically removed with a comb. 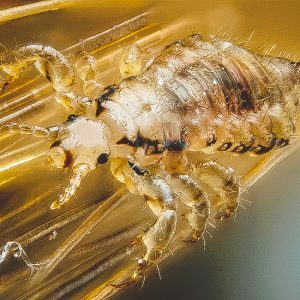 In extreme cases of head lice, a doctor or dermatologist must be consulted, as there are several prescription medications and other treatments available.